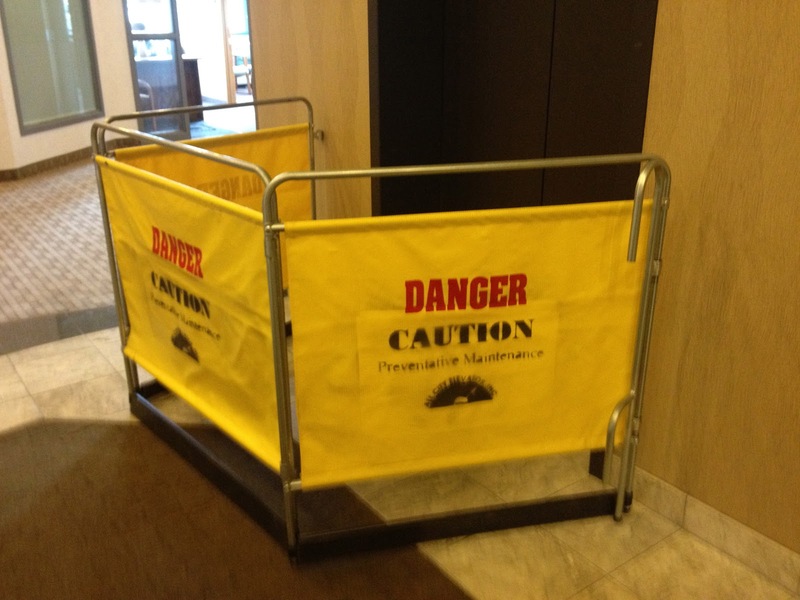 For the past three months, we have been undergoing "Elevator Modernization" at my office building. Which basically means they are finally fixing the deathtrap that was our elevator situation. Anyway, there are guys and they ride on top of the elevators and they hang out in it while it's suspended between two floors and they sit in front of it and tinker and so of course I chat with them as I'm waiting for the working elevator to arrive. A couple weeks ago, I had to go do some embarrassing things in the bathroom. At work, if nature starts knocking on my backdoor, I always go to another floor, you know, so nobody knows me or my shoes. I took the stairs to the floor beneath my own. As I walked by my elevator repairman friend (to go in the bathroom he was stationed directly in front of), he said, "Aren't you on the wrong floor?" DANGER. CAUTION. Elevator Repairman's about to bust you out. *I realized I have a few embarrassing elevator stories on the blog and here they all are for you, under a new label I like to call: 'elevators'. Haha! Your elevator series is hilarious! But I'm really glad they're fixing them; sounds like they should have done it long ago? Have you thought about taking a spare pare of shoes to work, something to slip on as a foot-disguise? I think everybody does that. Me, Honeybadger don't care! I use my bathroom on my floor! pare? pear! no...p-a-i-r, pair of shoes. a spair pair. haha Kerry I got what you meant and that is a BRILLIANT idea! Jane you are so bold. So. bold.